Figures acquired recently by Badgerwatch from the Department of Agriculture, Food and the Marine will reveal that, for the years 2013 and 2014 a grand total of 12,469 badgers met their untimely fate, trapped in Agriculture’s own weapon of mass destruction – the cruel multi strand wire snare. Small wonder 25,000 more body bags were ordered. It must have been an extremely busy time for DAFM’s army of badger killers. No threats of redundancies here. Business has never been better. Over the years, a number of landowners have found snares set on their land and badgers removed without their knowledge and certainly without permission. The number of incursions have been reported to Badgerwatch with such regularity that they cannot be dismissed as isolated incidents. Few members of the farming communities are familiar with the working timetable of trappers. Unfortunately, the damage is done before the landowner/herd-keeper becomes aware that badger - snaring has been carried out on the property. For the initial visit, trappers work on a two-week basis and will set snares for twelve nights out of 14. Licences cover a twelve month period which may be extended. Trappers will return periodically to check if there’s renewed badger activity at the sett(s). This being the case, snares will be set again. This will be repeated until the Department’s objective, total clearance of badgers has been achieved. According to a previous DAFM Minister, 6,000 snares are laid across Irish farmland nightly. If you as a landowner or herd- keeper discover uninvited trapping activity on your holdings remember you have rights. Badger trappers are obliged to show landowners/herd keepers the snaring licence. It is important to remember the licence does not confer automatic right of entry onto farm land and this is clearly stated at the bottom of the page. No person has the right to enter premises without your expressed permission. Any difficulties should be reported to your District Veterinary Inspector within a reasonable time. Urgent Government action to cull 'out-of-control' wild deer has been demanded by the ICMSA, despite the Minister for Agriculture, Simon Coveney, claiming that badgers remain the key source of infection in TB blackspots. While ICMSA president, John Comer insisted that the wild deer herd had reached 150,000hd, and were "out of control" in Wicklow, Kerry and Clare, Minister Coveney said that TB levels in badgers were still higher in Wicklow. While ICMSA president, John Comer insisted that the wild deer herd had reached 150,000hd, and were "out of control" in Wicklow, Kerry and Clare, Minister Coveney said that TB levels in badgers were still higher in Wicklow. "My Department remains of the view that infection from wildlife, in particular badgers, remains a particular issue in the Wicklow area," he said in a Dail reply to Wicklow TD Andrew Doyle. "A recent study conducted in the Callary area detected a TB culture confirmation rate in badgers of over 26pc, which compares with a national rate of 13.3pc. The level of TB found in badgers was also considerably higher than that found in deer in that area, where 4.8pc of deer had visible lesions, with 5.5pc culturing positive for TB." Wicklow has the highest levels of TB in the country, with many parts experiencing twice the national average levels of infection. The Minister added that while the Department will continue to implement a badger removal programme in the county, responsibility for wild deer rested, under the Wildlife Acts, with the Minister for Arts, Heritage and the Gaeltacht and that a non-statutory Irish Deer Management forum had been established. However, John Comer said that it was too risky to allow the deer population to continue growing with such a high level of TB infection. "It's well past the time to move on this," he said. "The TB Compensation Scheme is itself wholly insufficient and out-of-date and that has to be overhauled, but the priority is to minimise the chance of any cross-infection and that has to mean really serious control of the wild deer population," said Mr Comer. Over a quarter of all Bovine TB infected herds are now being identified through lesions found on carcasses of animals at the country's meat plants. In 2014 a total of 4,111 herds were restricted for TB, but 1,160 of these were identified on the killing line rather than the annual farm tests carried out by vets. Some 48pc of all suspect lesions found on carcasses at slaughter have been found to be positive following laboratory tests. On Tuesday I asked the Minister for Agriculture, Food and the Marine the reason he is pursuing a badger cull when guarantees have been given about rolling out a vaccination programme for badgers infected with TB; the reason his Department is tendering for the provision of 25,000 units of biological material, which are essentially body bags for badgers. He said “targeted badger removals will continue” until “a viable oral delivery method can be put in place” which was a most unfortunate answer because in the context of a badger cull we are talking about a most inhumane, cruel and barbaric way of dealing with bovine TB, when first, it has not been fully proven that the badger is totally responsible for the disease. There are doubts over some of the experiments that initially proved that was the case. Second, a reduction in TB in cattle can also be linked to improved husbandry and other factors, not especially through the badger cull. Badgers may shun cattle, but it’s not enough to save them according to the Minister for Agriculture Simon Coveney. 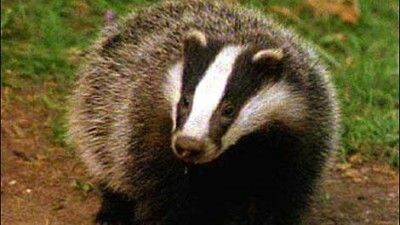 However, he also said that a move to vaccination of badgers is something he would like to see happen. The Minister was responding to questions from TD Maureen O’Sullivan, who said that recent research had shown that badgers avoid fields of cattle and farm buildings containing cattle and if he would acknowledge that badgers have been wrongfully vilified and suspend his Department’s practice of badger culling. 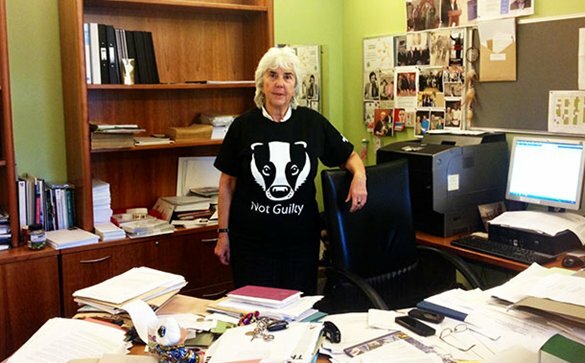 She said the current practice of badger culling has resulted in the snaring and killing of a large number of badgers. However, Minister Coveney said that the badger removal strategy, which has been part of the TB eradication programme for some years, has been developed in response to research which has demonstrated that the eradication of the disease in cattle is not a practicable proposition until the reservoir of infection in badgers, with which it has also been found they share localised TB strains, is addressed. “This is based on a number of studies which showed that badger removal had a significant beneficial impact on the risk of future breakdowns, with areas where badgers were not removed being some 14 times at greater risk than in areas where badgers were removed. He also said that the badger study referred to by O’Sullivan is still ongoing and is designed to find out how exactly the disease transmission between badgers and cattle takes place, with a view to building up a comprehensive picture of badger movements and helping to design a viable vaccination programme for badgers. “The fact that badgers tend to avoid buildings does not mean that they do not transmit disease to cattle. 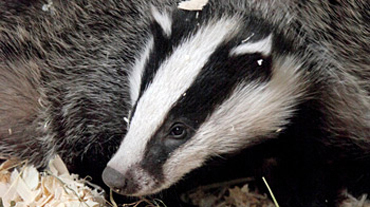 The position is that badgers can and do transmit TB to cattle via faeces, urine or latrines, and strain-typing has shown that badgers and cattle share the same strain of TB which is prevalent in the locality. The NI Badger Group has issued a statement on Bovine TB and culling and has attacked “scaremongering” about Bovine TB. Peter Clarke, coordinator for the Northern Ireland Badger Group said that the group is an independent voluntary conservation which draws its membership from all walks of life, including the rural and scientific communities. The core objective of the group is the conservation and protection of badgers. It has a longstanding commitment to engage constructively with industry and government in a spirit of good faith, common ground and mutual understanding. Badgers are in the spotlight as the DARD TVR project unfolds. “We advocate, and are committed to supporting, an evidence-led strategy for addressing bovine TB in cattle. In that context we have a number of concerns, not least the continuing pressure from some individuals and groups to conduct a programme of badger culling in Northern Ireland similar to those carried out in SW England and the Irish Republic. “We do not believe that badger culling will have any impact on bovine TB in cattle nor is there any evidence to support claims that current badger culls have contributed to bovine TB control in Ireland or Great Britain. Peter Clarke added: “We also have concerns with regard to the large amount of scaremongering and misinformation about bovine TB that is peddled as fact in the public domain. Bovine TB is NOT a public health issue. Bovine TB is FALLING in Northern Ireland. In the last two years, herd incidence has fallen faster in Northern Ireland than in the Irish Republic where over 100,000 badgers have been culled. “Bovine TB is, understandably, an emotive topic. However, any strategy is only as effective as the quality of the information and data it is based on. Consequently, fact-based evidence and objectivity is paramount to establishing an effective bovine TB strategy in Northern Ireland.